Click here to make an online donation now or click the donate tab for more options to donate. Mr. and Mrs. Tommy Zieman Jr. When you shop on Amazon Smile did you know that Amazon will donate .05% of your purchase to DISL Foundaiotn. It does not cost you anything except taking the extra step to log into Amazon Smile. Thank you for taking the time to support the Sea Lab. 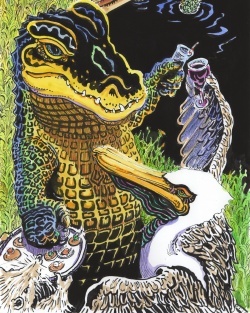 Cocktails with the Critters, the 14th annual fundraiser for the Dauphin Island Sea Lab Foundation, will be Thursday, May 2, from 6:00 pm till 9:00 pm at Bluegill Restaurant on the Causeway. This will be an exciting evening overlooking Mobile Bay. For those seeking more thrills, there will be a fantastic silent auction. The Bluegill Restaurant is pulling out all the stops and will be serving fabulous and tasty hors d’oeuvres and wine and beer. The DISLF is seeking sponsors for Cocktails with the Critters. For sponsorship information for Cocktails with the Critters please click here to be directed to the sponsorship page. To sponsor now click here to access the online form. The Dauphin Island Sea Lab Foundation is seeking donations for the Cocktails With the Critters Silent Auction.We hope that you will agree to be a part of this worthwhile event. 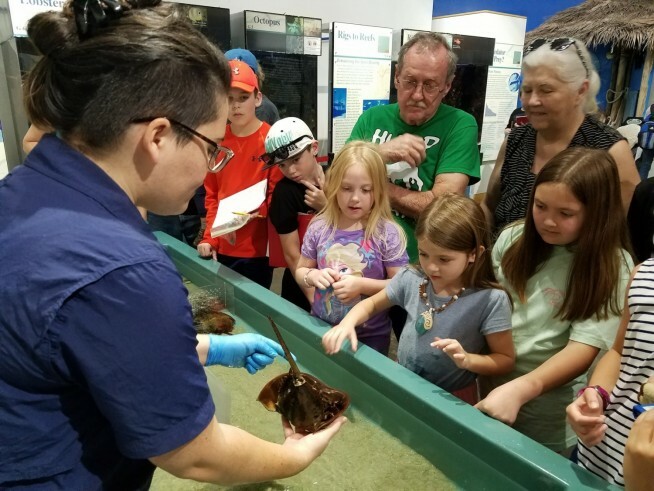 Proceeds generated by your generous donation will help the DISLF provide new resources for the long-term growth of the Sea Lab. For more information click here. Mobile premiere showing of Diving Deep: The Life and Times of Mike deGruy. The premiere showing of Diving Deep is a benefit for the Dauphin Island Sea Lab Foundation to fund the Mike deGruy Scholarship. Tickets are available online by clicking TICKETS by mail from the Foundation office, by calling 251-307-5903, . Mobile native filmmaker and explorer Mike deGruy is remembered in the film Diving Deep: The Life and Times of Mike deGruy. His wife and filmmaking partner, Mimi Armstrong deGruy, wrote , directed and produced this feature length documentary about the irrepressible biologist turned filmmaker. Mike deGruy was a man who lived with one foot in the sea and the other on land, who spent his life speaking on behalf of the ocean’s creatures. He was becoming increasingly outspoken as an environmental activist when he died tragically in a helicopter crash in Australia while filming for director James Cameron. The film celebrates his remarkable career but it also highlights what he believed passionately at the time of his death: we are destroying the ocean before we even know what’s there. This is a story told through the eyes of deGruy’s wife. When she finally went back into their edit room after his death, Mimi deGruy found herself returning again and again to one piece of footage she’d never seen of her late husband. She realized it captured the moment he went from being an artistic filmmaker to an activist, and she knew she had to make a film. JENNY COOK SCHOLARSHIP FUND CLICK HERE. 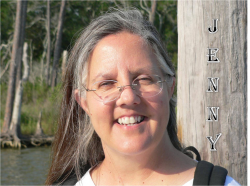 Please help us send under privileged high school students to the Summer Marine Science Course at the Sea Lab by donating to the Jenny Cook Memorial Scholarship Fund. This has been recognized as one of the most important needs for the Discovery Hall Programs. A donation to the fund can make it possible for a child attend the month long program and gain high school credit. 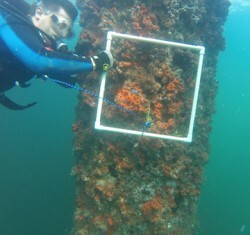 Hep us reach our goal so we can make this an annual gift to the Sea Lab. 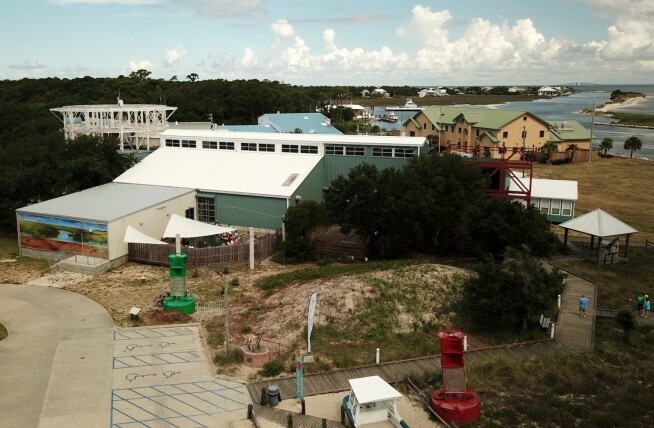 To support the Dauphin Island Sea Lab, click here to learn all the ways you can donate. 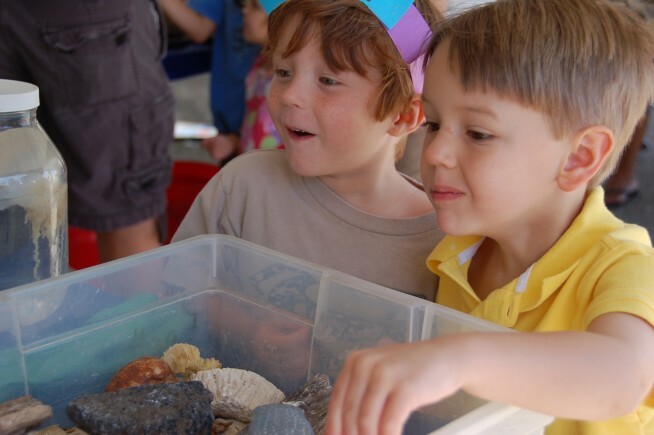 A young child's trip to the Estuarium, the DISL's Aquarium, sparks the imagination. Time spent with our Discovery Hall Program's educators grows the desire to study marine science leading many to pursue college degrees. University Programs create focus on research. Every reason for supporting and donating is different, but every donation matters. "The course style influenced me in the college that I eventually attended. I am very thankful for the Marine Science Course and the Sea Lab. It was my first step into a field of study which I still find very interesting." Autumn, Marine Science Course for High School Students. "The diversity of these experiences and being exposed to different lab Techniques and a variety of field work has really helped me as a young scientist." "I wanted to come to the Dauphin Island Sea Lab because f the researchers and the resources", Rodriguez explained. "It's a close environment with easy access to faculty and everyone is excited to help you."